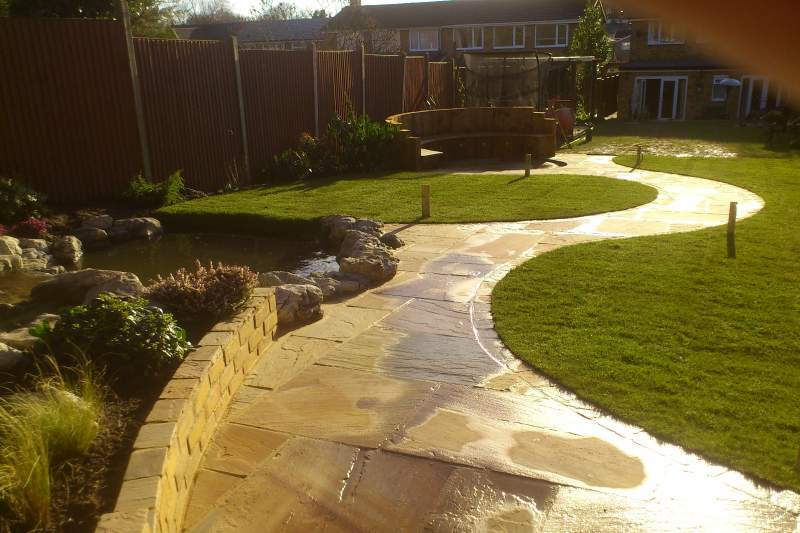 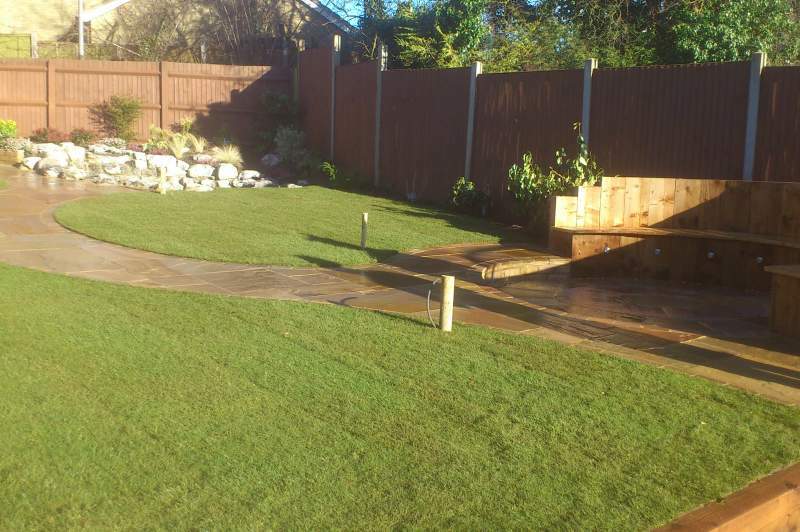 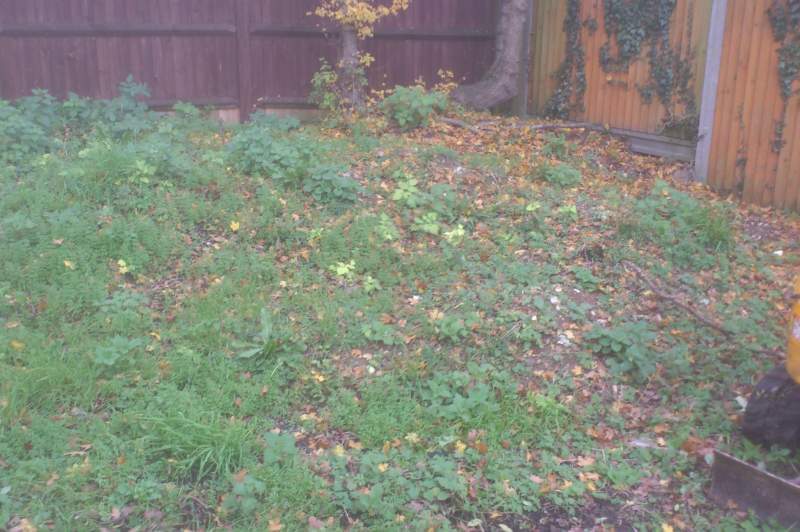 This landscaping project in Stevenage, Hertfordshire involved transforming an unloved area at the back of the garden into somewhere the whole family could enjoy. 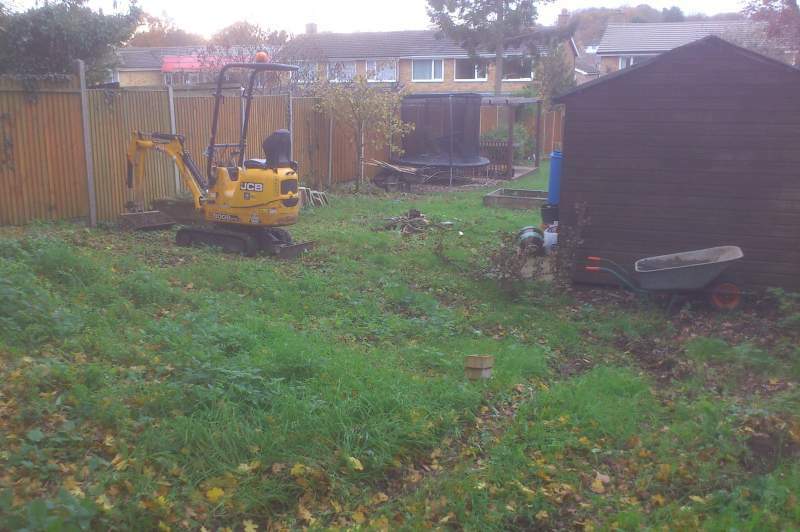 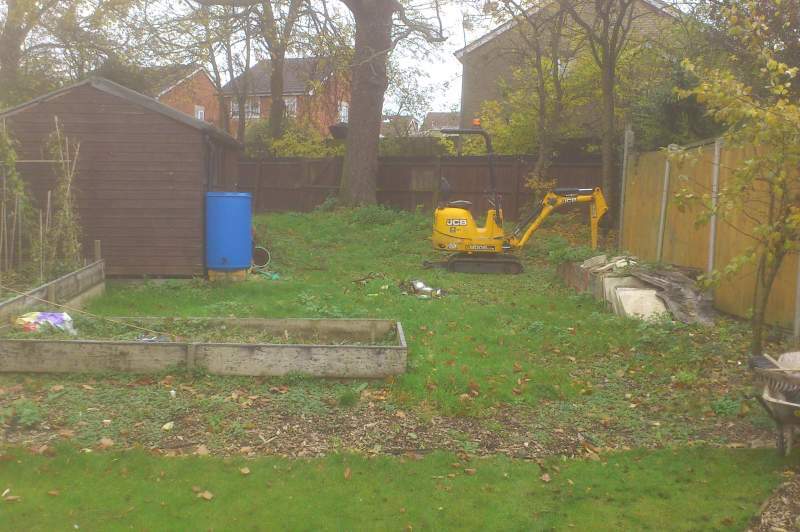 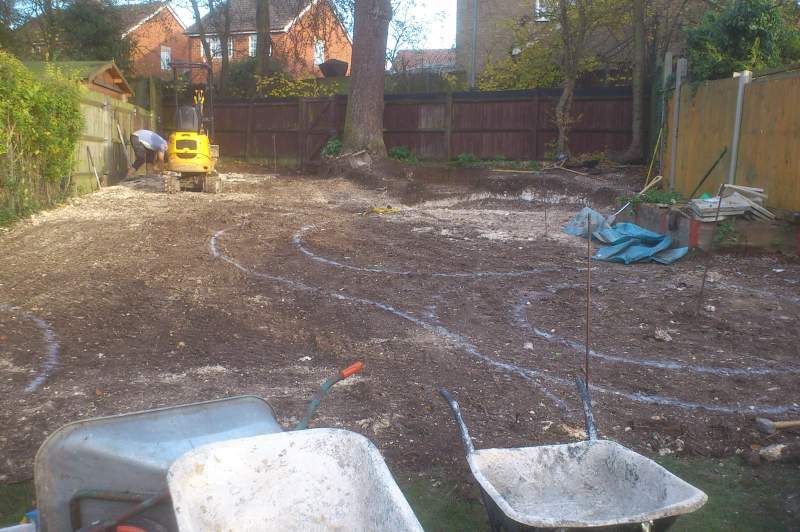 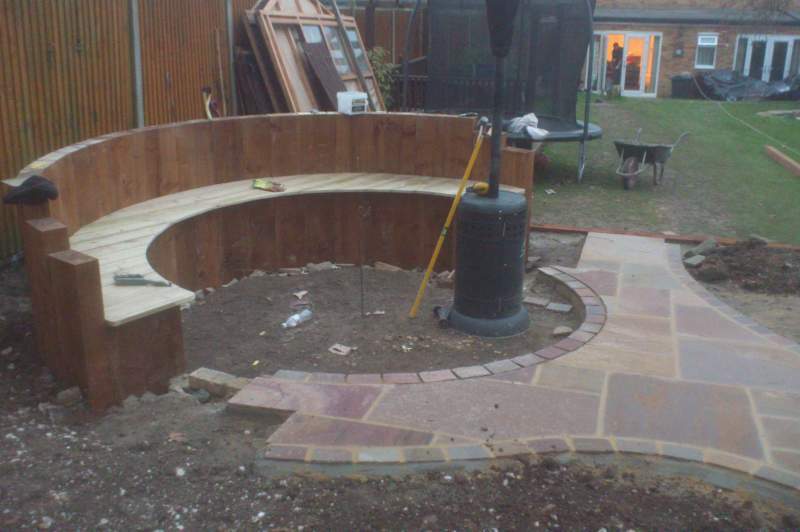 The clients had some ideas of what they wanted such as a seating area and space for a new shed but were otherwise open to suggestion regarding what else could be done with the patch of ground, albeit a rather large one. 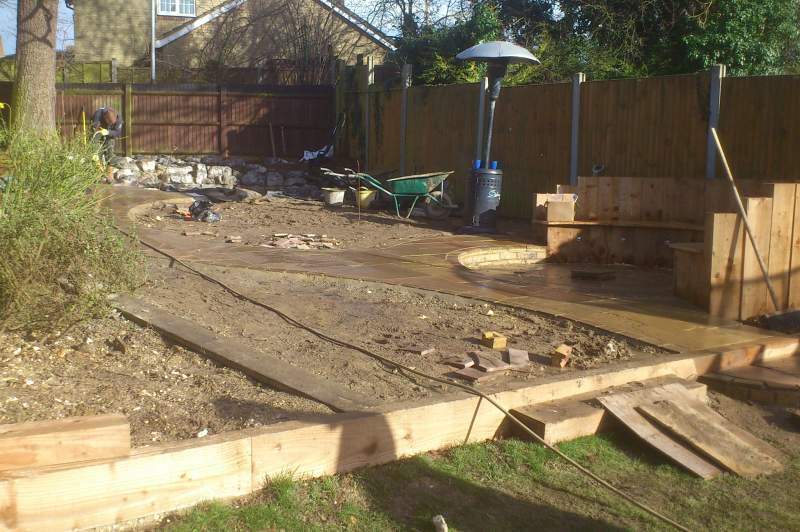 The garden was on quite a slope that became steeper towards the far end, giving us the idea of building a stream into it that would lead down to a pond. 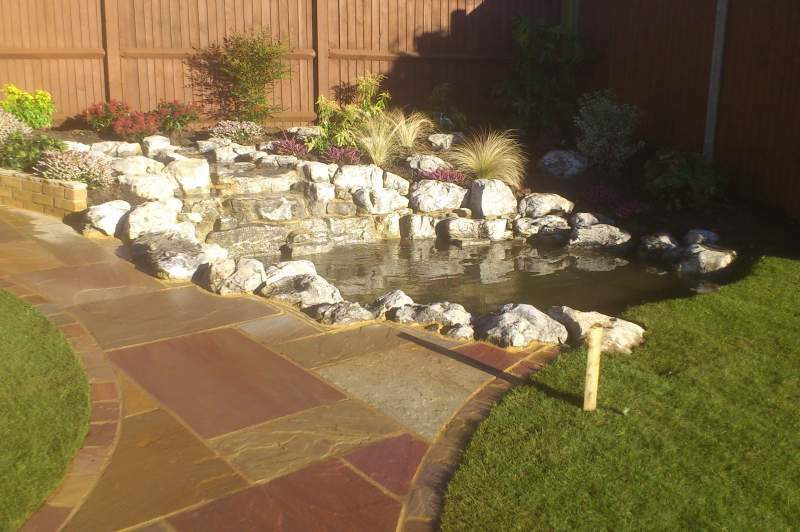 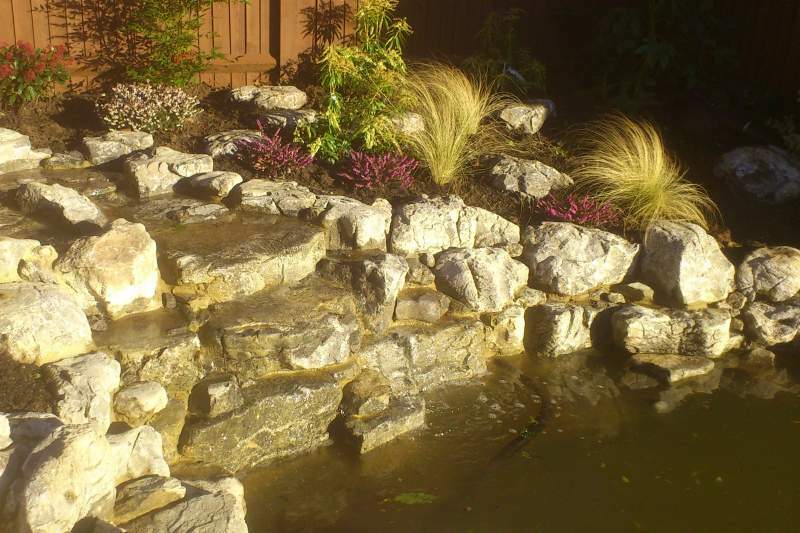 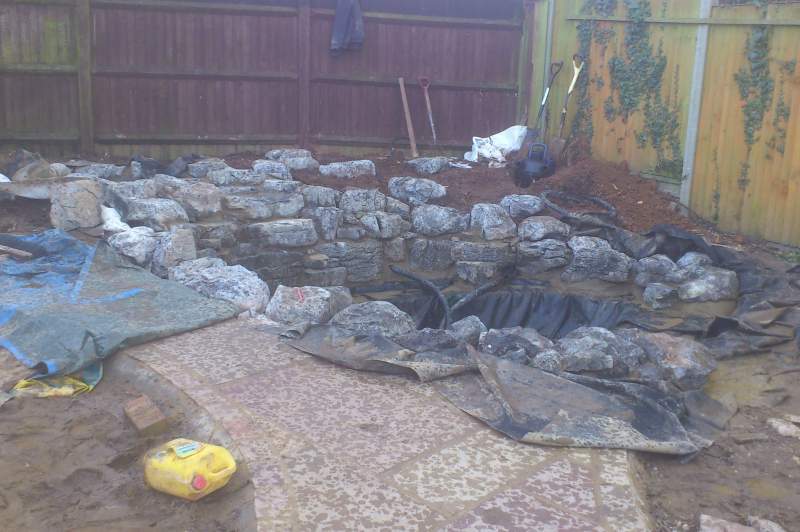 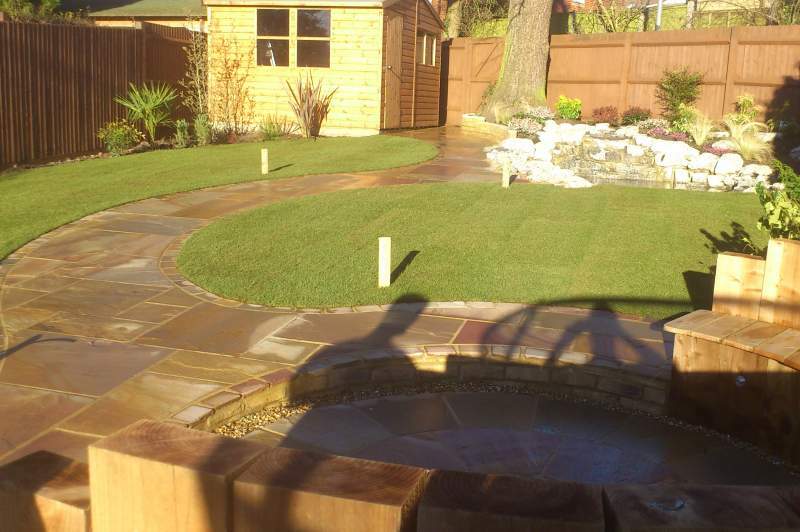 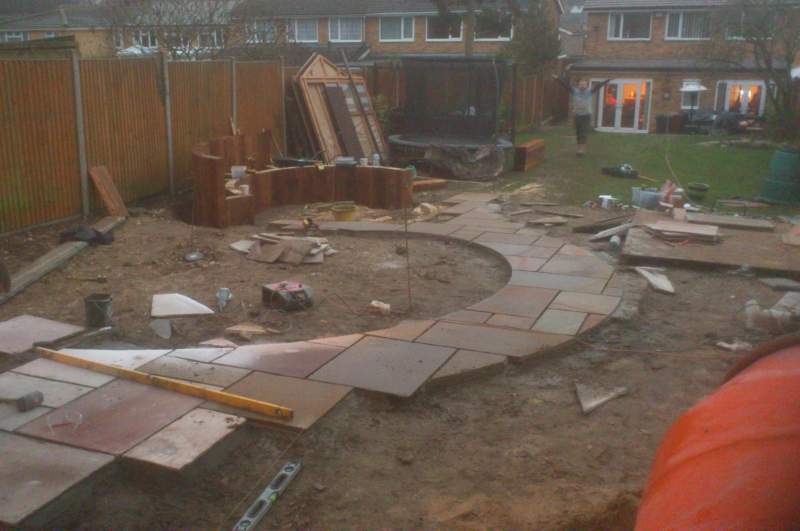 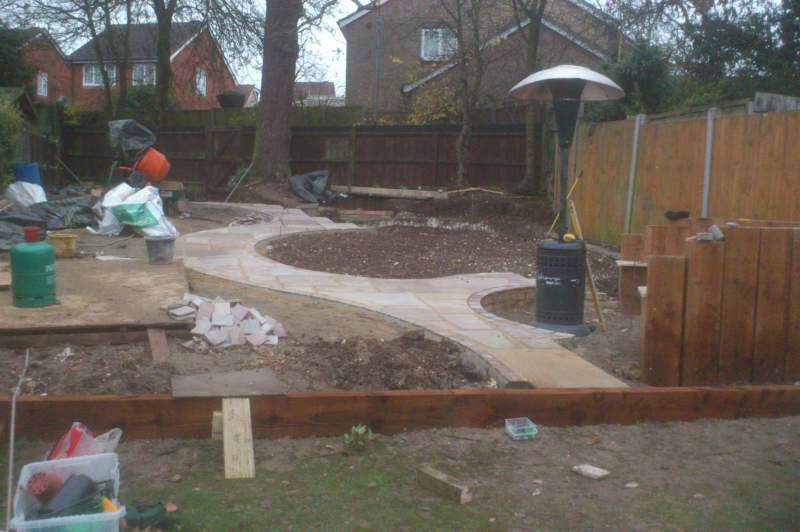 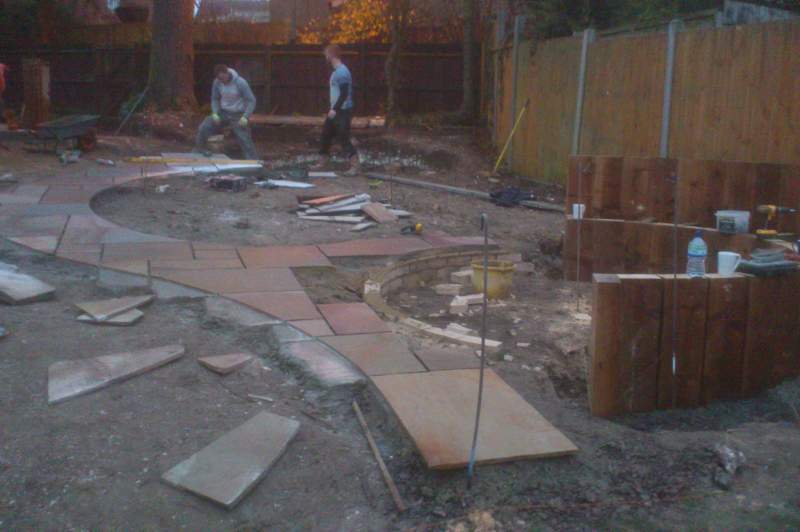 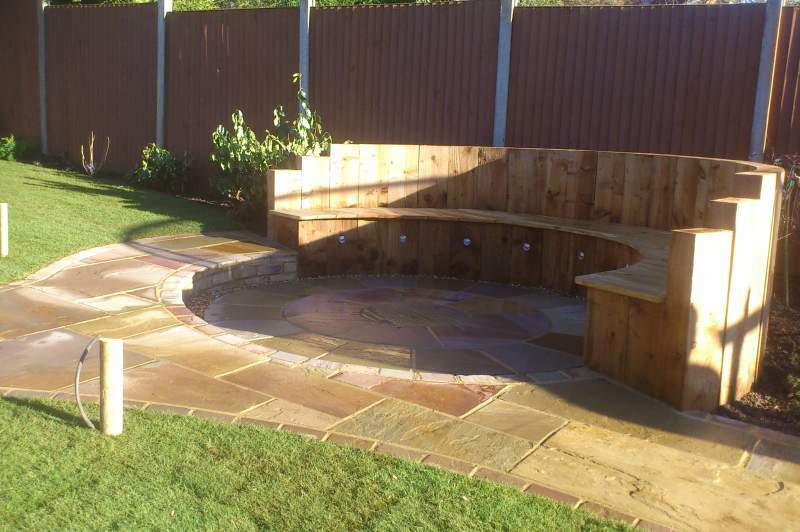 A winding path would link the seating area to the water feature and garden shed, tying everything together. 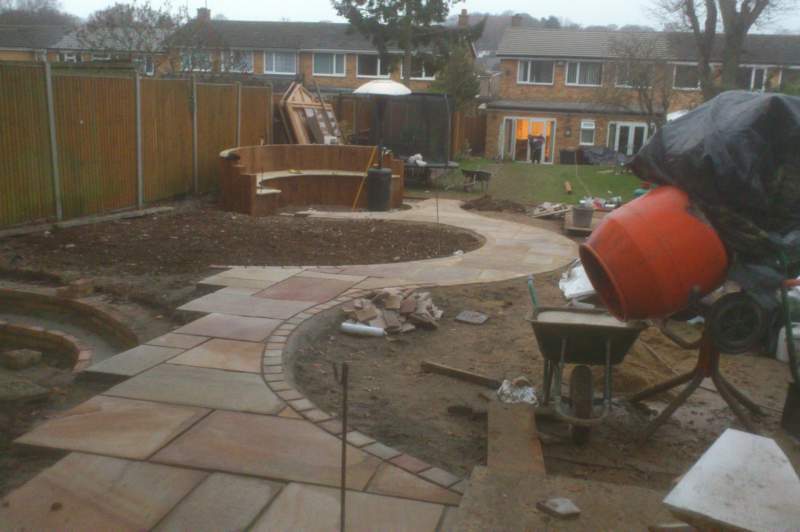 Either side of the path a new lawn and borders would help soften the hard landscaping.